How many of you guys had lost your StarCraft CD key before, but had the game installed on your computer and wanted to get the key back? Well, guess what? 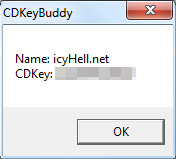 Now there is CDKeyBuddy for StarCraft v1.16.1! Use this tool to help grab your CD key out! 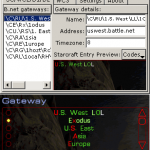 Just open StarCraft, run this little program, and out pops a window with your CD key! 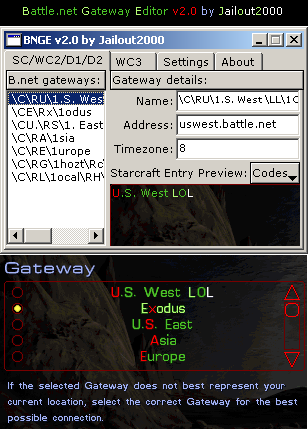 Inject this into starcraft and it will retrieve your cdkey and name used for starcraft. A new version of BWChart was released yesterday with a minor update. The program now has a checkbox for showing the in-game chat saved in the replays. 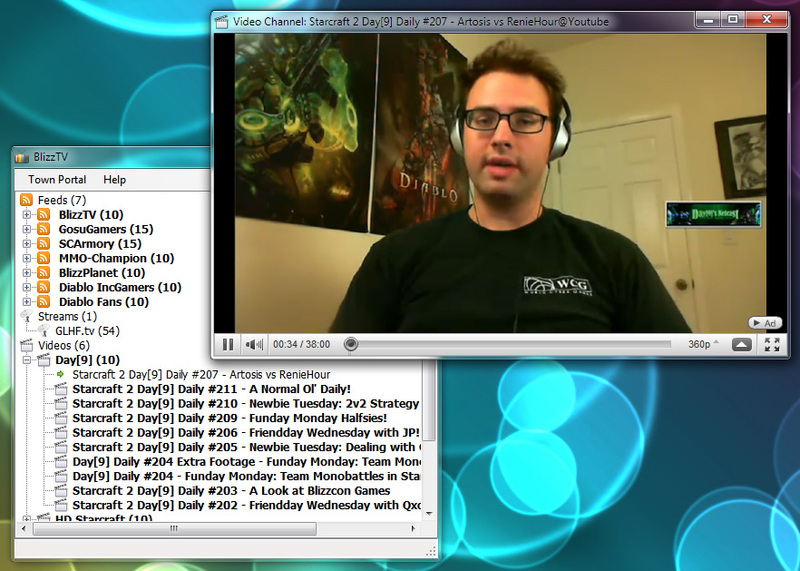 Remember though, only replays since StarCraft patch v1.16.0 have saved chats. BWHF Agent was updated yesterday to version 2.50 which now includes a player matcher tab. 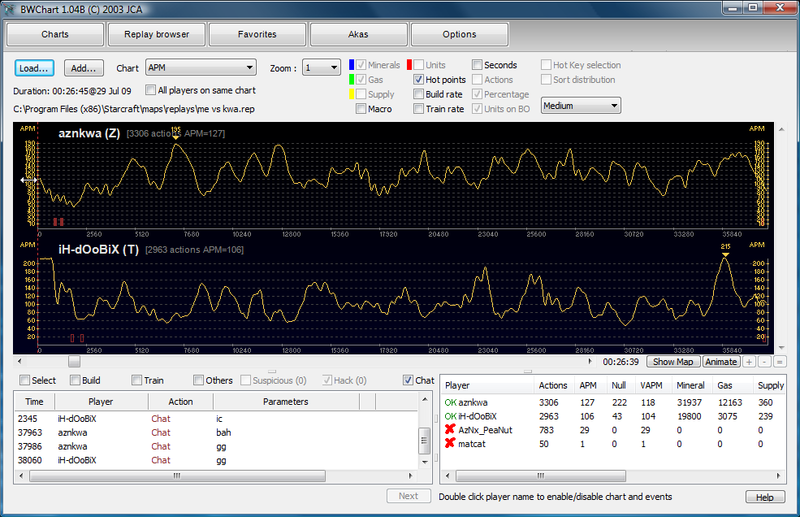 If you haven’t heard of this StarCraft utility before, it’s basically a super-featured-packed version of BWChart. Anyway, this new feature allows you to pick a selection of replays from your computer to have the players analyzed and compared. The end result shown is a matching probability for the players. Download the program below and check it out! -New setting on the PCX converter tab: Resize converted images. With this you can change the size of the converted images. This can be useful if you want to post the screenshots on forums where the allowed images are limited (either in dimension or in size). 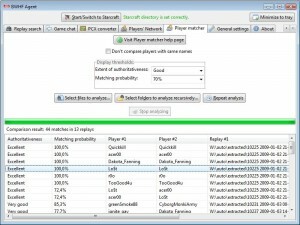 -New operation in the context menu of replay search tab: “Check player matches”. -Detection of subunit (scarab/interceptor) enqueue hack. -Bugfix in replay search (did not handle latest save date). -Optimizations and other minor bugfixes. 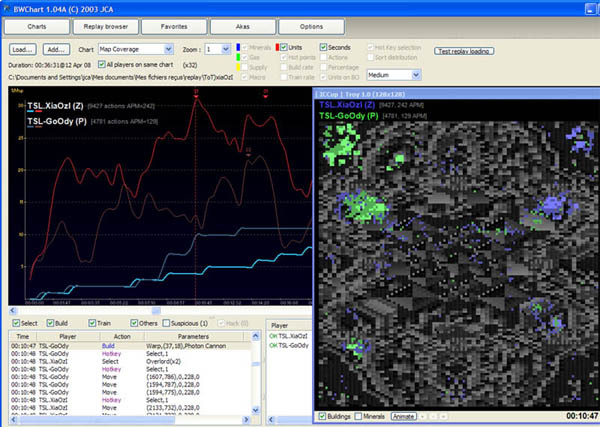 BWChart, the amazing StarCraft replay analyzer program which I thought was dead, was actually updated 4 months ago on April 15th, 2009. Its update before this was from way back on March 16th, 2006 – more than three years ago! I recently found out about this new version from the official website and I haven’t posted about it yet, so here it is! Version 1.04A adds support for StarCraft v1.16’s chat logs that are saved in replays. The creator, JCA, also fixed a few bugs, added smooth curves, and a new chart called “Map Coverage” which tells 2 things: 1. how much percentage of the map you have buildings on, and 2. how much percentage of the map you are moving units on. You can download BWChart v1.04A below. 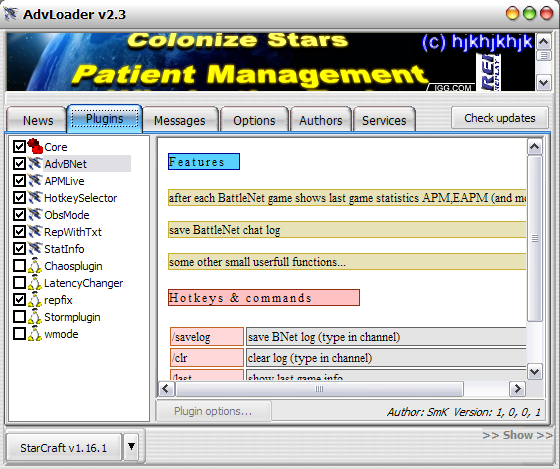 Smk and hjkhjkhjk have released AdvLoader version 2.3 for StarCraft v1.16.1. 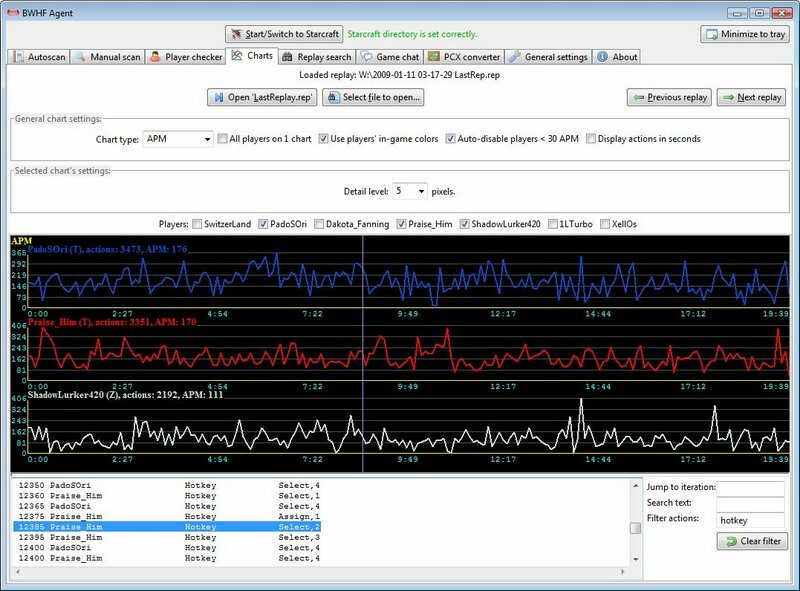 This program has many useful plugins such as in-game APM timer, replay with text, statistics information, observer mode, and more. 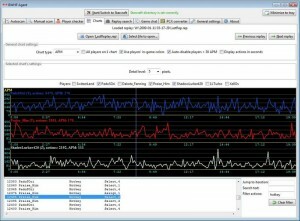 alarm sound if Alarm enabled and APM (after 2 min) fall below Low level APM. Observer mode activates after 20 second if you have at most 1 unit(building). You can activate observer mode just in first 3 minutes. RWT, save in replay game messages(chat) and service commands (like /ping). Work in any version SC, that supported by AdvLoader. 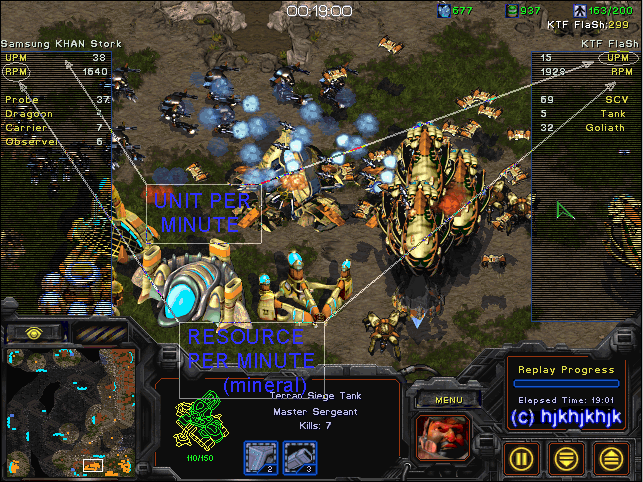 shows statistics for players in replay or obs mode (units, buildings, UPM – units per minute, RPM – resources(minerals) per minute). You can check out the homepage at http://satcron.com and download the program below! Check out BWHF Agent, made by András Belicza! This is not a 3rd party program! 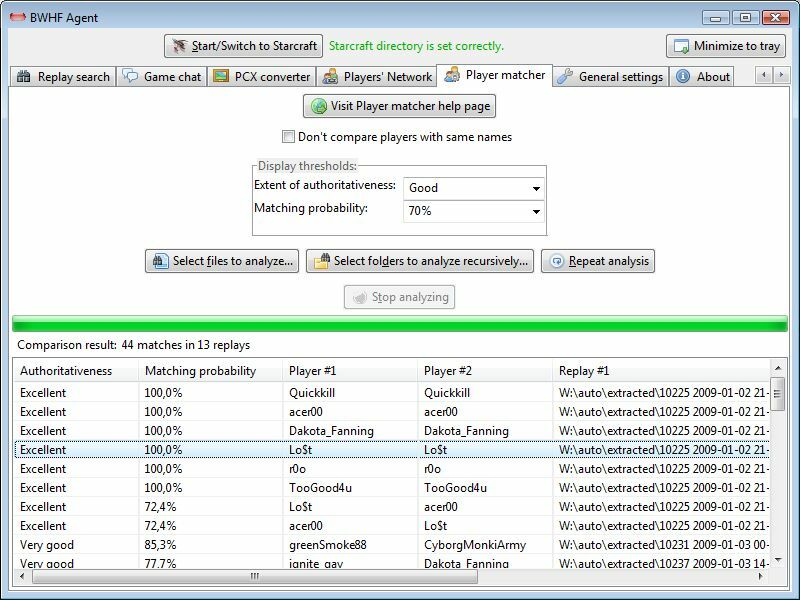 It does not modify Starcraft’s memory and it does not interfere with Starcraft in any way so there is absolutely no risk of getting banned by Blizzard or any battle.net server for using it. 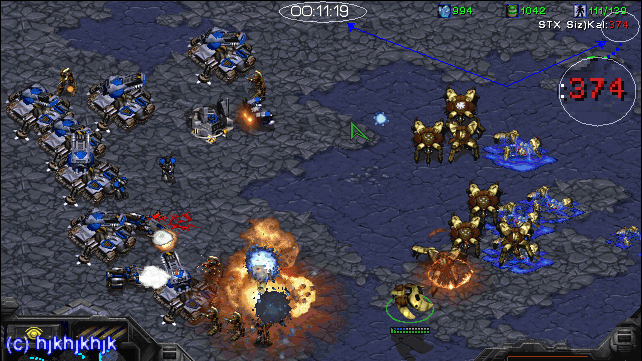 Since it does not modify Starcraft’s memory, it does not add new bugs and does not cause Starcraft to crash. It’s a standalone program not some kind of dll or bw plugin, so you can use it ANYWHERE (iccup, normal battle.net servers, LAN w/e) with or without any launcher. BWHF Agent is a launcher itself. You can start and close it at anytime (before or after starting Starcraft, before of after logging in to battle.net, before or during a game). It does not belong to a specific Starcraft version therefore it works after Starcraft updates without modification. You can repeat the scan process after game, and you can scan old replays. You can scan recursively entire folders of replays. 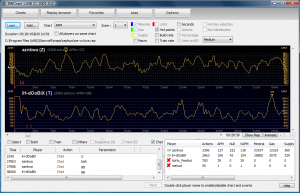 Does not require Starcraft or any other programs (like BWChart) to be running or even being installed. It can report hackers automatically to a central hacker database. It’s open source therefore the risk of being/containing a malware/adware/virus is minimized (if you always download it from its original home page). Scan runs after games (it won’t tell you if someone’s hacking during the game). If you enabled reporting hackers, you have to manually change gateway when you login to another gateway (or else the reports that get sent will contain incorrect gateway). 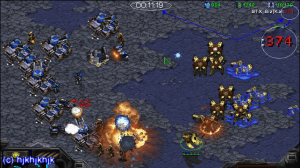 Two days ago, StarCraft was updated to version 1.15.3. 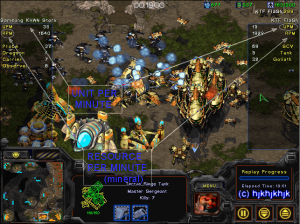 Today Monikon has updated his Mini StarCraft Brood War to v1.15.3 too. For those who don’t know, this is a very small version of StarCraft Brood War that can be put in your USB drive so you can take StarCraft wherever you go! You can play on Battle.net if you use the CD-Key changer to change the CD-Key to your own.